We are excited to announce the launch of the PADI Specialty of the Quarter campaign (Asia Pacific) which focuses on the promotion of different PADI specialties each quarter. This campaign and accompanying marketing tools will help you to grow the interest in continuing education and increase the sales of PADI Specialty courses and student materials. PADI Specialty courses offer the perfect opportunity to widen the knowledge of your students, better understand their interests as divers, and make sure they come back to do more courses. You can also tie this in with the free PADI MSD Application available in the Asia Pacific region. The artwork for each Specialty of the Quarter will be available 2 weeks before each quarter. This will be emailed to you but is also downloadable from the PADI Pros Site. When it comes to consumer decisions online, credibility is everything. Multiple surveys show that most people trust online reviews as much as personal recommendations. 1. Create your own positive presence. Customers are going to look you up online, so make sure they find what you want them to know. 2. Be active on social media. If you have social media profiles, you need to update content regularly. 3. Listen to what others are saying. People are going to talk, so you need to stay on top of what is being said about your business. 4. Be proactive, not reactive. Negative comments can be addressed in a way that shows potential customers that you care about your consumers. 5. Respond professionally. Responding to negative comments in a professional and positive manner can actually result in an overall positive experience and outcome. Acknowledge the issue or complaint by thanking the person for sharing the concern. Empathize with the person and explain that you understand the concern. Ask what you can do to fix the problem. Explain the steps that your business takes to provide the best customer experience possible. Share the steps you are going to take to follow up or look into the matter. Offer some incentive for giving your business a second chance. Businesses are more vulnerable to online attacks on their reputation than ever before. Taking proactive actions to optimise positive reviews and manage negative ones will help you minimise this vulnerability. Chinese (both Traditional and Simplified* versions. *New*); French; German; Japanese; Korean and Spanish. Basic Advanced Open Water Diver Certification Pak & Online PIC (P70139L was P70014L). For Paper PIC use Code 70139L. The revised AOW answer keys are available & posted to the PADI Pros Site under Training Essentials/Curriculum/Revised AOW Course Information Page and under Training Essentials/Curriculum/Exams and Assessments/AID. The PADI MSD Challenge is a contest for eligible PADI Dive Centres or Resorts in Asia Pacific and offers prizes for PADI Members. It is a PADI Member focused contest and tools are available to help you promote the PADI Master Scuba Diver rating to divers. This contest is aimed to help grow interest in the PADI Master Scuba Diver rating and increase the sales of related PADI con-ed courses and student materials. PADI con-ed courses offer the perfect opportunity to widen the knowledge of your students, better understand their interests as divers, and make sure they come back to do more courses. You can also tie this in with the free PADI MSD Application available in the Asia Pacific region. 1st place winner in level 1 and 2: 1 Free 2018 PADI Retailer & Resort Association Membership Renewal (Refunded)*. 5 PADI Gift Packs with backpack, polo shirt, t-shirt, cap and water bottle. 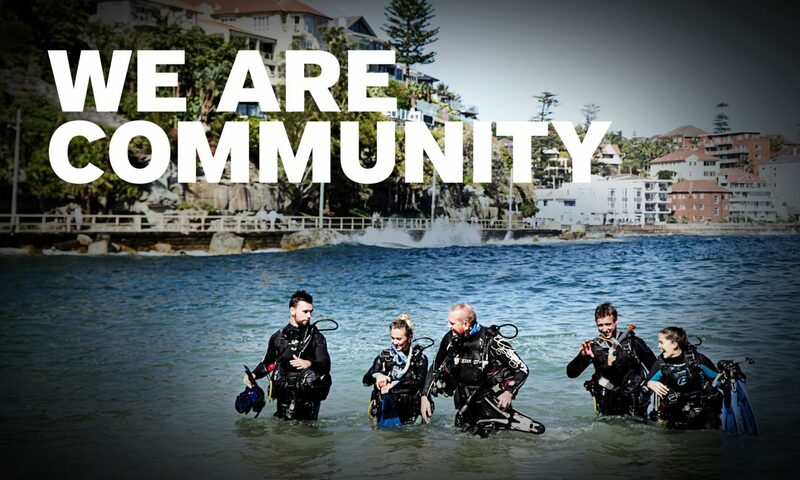 1 AU$300 PADI Gear Voucher. Total Retail Value: AU$900 plus 2018 Membership Renewal Fee* (AU$236.00 – AU$1513.00, excluding GST, depending on Membership Level). 2nd place winner in level 1 and 2: 5 PADI Gift Packs with backpack, polo shirt, t-shirt, cap & water bottle. 1 AU$150 PADI Gear Voucher. Total Retail Value: AU$750. Official Contest Rules – *Refer to official contest rules (Coming Soon). 2018 Renewal will be refunded for winner. Important Note: The above information is subject to change. Official communication with rules will be sent via email and available via your PADI Regional Manager later in November. Resources & tools: To help you promote the PADI Master Scuba Diver rating to divers you can download free digital marketing materials at the PADI Pros Site (Toolbox > Marketing > More Campaigns). Questions? Contact your PADI Regional Manager or the PADI Asia Pacific marketing team; marketing@padi.com.au. Coming soon to PADI Asia Pacific, the PADI Specialty of the Quarter campaign will focus on different PADI specialties each quarter. While officially launching for 2018 we have made the Q4 2017 resources and tools available to gather feedback from PADI Members on the campaign. This marketing initiative will help you grow interest in continuing education and increase sales of PADI Specialty courses and student materials. PADI Specialty courses offer the perfect opportunity to widen the knowledge of your students, better understand their interests as divers and make sure they come back to do more courses. You can also tie this in with the free PADI MSD Application available in the Asia Pacific region. Each quarter there will be two PADI Specialty courses promoted. This will provide flexibility to promote both or select the one which best suits your dive shop while still being a focused campaign. PADI Asia Pacific will also be promoting these specialty courses throughout Quarter 4. 2018 PADI Specialty of the Quarter: Q1 calendar will be released in early December 2017. Resources and tools: To help you promote the PADI “Specialty of the Quarter” you can download free digital marketing materials including web banners, headers, and more and the PADI Pros Site (Toolbox > Marketing > More Campaigns).